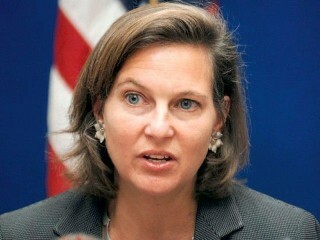 Though Nuland’s phone call introduced many Americans to the previously obscure Yatsenyuk, its timing – a few weeks before the ouster of elected Ukrainian President Viktor Yanukovych – was never helpful to Washington’s desired narrative of the Ukrainian people rising up on their own to oust a corrupt leader. Instead, Kramer and his co-author Andrew Higgins took pains to mock anyone who actually looked at the evidence and dared reach the disfavored conclusion about a coup. If you did, you were some rube deluded by Russian propaganda. “Russia has attributed Mr. Yanukovych’s ouster to what it portrays as a violent, ‘neo-fascist’ coup supported and even choreographed by the West and dressed up as a popular uprising,” Higgins and Kramer wrote. 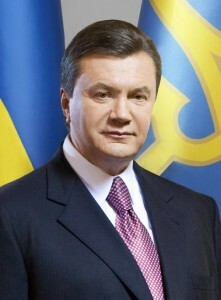 Image: Ousted Ukrainian President Viktor Yanukovych. Yet, one might wonder what the Times thinks a coup looks like. Indeed, the Ukrainian coup had many of the same earmarks as such classics as the CIA-engineered regime changes in Iran in 1953 and in Guatemala in 1954. The way those coups played out is now historically well known. Secret U.S. government operatives planted nasty propaganda about the targeted leader, stirred up political and economic chaos, conspired with rival political leaders, spread rumors of worse violence to come and then – as political institutions collapsed – watched as the scared but duly elected leader made a hasty departure. In Iran, the coup reinstalled the autocratic Shah who then ruled with a heavy hand for the next quarter century; in Guatemala, the coup led to more than three decades of brutal military regimes and the killing of some 200,000 Guatemalans. Which is what it appears if you consider the evidence. The first step in the process was to create tensions around the issue of pulling Ukraine out of Russia’s economic orbit and capturing it in the European Union’s gravity, a plan defined by influential American neocons in 2013. On Sept. 26, 2013, National Endowment for Democracy President Carl Gershman, who has been a major neocon paymaster for decades, took to the op-ed page of the neocon Washington Post and called Ukraine “the biggest prize” and an important interim step toward toppling Russian President Vladimir Putin. Yanukovych wanted more time for the E.U. negotiations, but his decision angered many western Ukrainians who saw their future more attached to Europe than Russia. Tens of thousands of protesters began camping out at Maidan Square in Kiev, with Yanukovych ordering the police to show restraint. 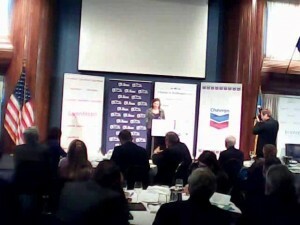 Image: A screen shot of U.S. Assistant Secretary of State for European Affairs Victoria Nuland speaking to U.S. and Ukrainian business leaders on Dec. 13, 2013, at an event sponsored by Chevron, with its logo to Nuland’s left. As the winter progressed, the protests grew more violent. Neo-Nazi and other extremist elements from Lviv and other western Ukrainian cities began arriving in well-organized brigades or “sotins” of 100 trained street fighters. Police were attacked with firebombs and other weapons as the violent protesters began seizing government buildings and unfurling Nazi banners and even a Confederate flag. Though Yanukovych continued to order his police to show restraint, he was still depicted in the major U.S. news media as a brutal thug who was callously murdering his own people. The chaos reached a climax on Feb. 20 when mysterious snipers opened fire, killing both police and protesters. As the police retreated, the militants advanced brandishing firearms and other weapons. The confrontation led to significant loss of life, pushing the death toll to around 80 including more than a dozen police. The precipitous police withdrawal opened the path for the neo-Nazis and other street fighters to seize presidential offices and force Yanukovych and his officials to flee for their lives. The new coup regime was immediately declared “legitimate” by the U.S. State Department with Yanukovych sought on murder charges. 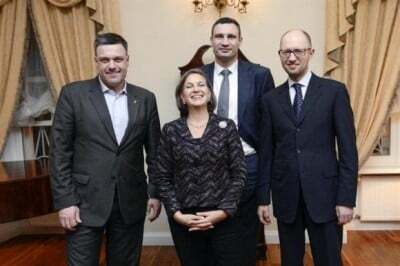 Nuland’s favorite, Yatsenyuk, became the new prime minister. But today – more than two years after what U.S. and Ukrainian officials like to call “the Revolution of Dignity” – the U.S.-backed Ukrainian government is sinking into dysfunction, reliant on handouts from the IMF and Western governments. 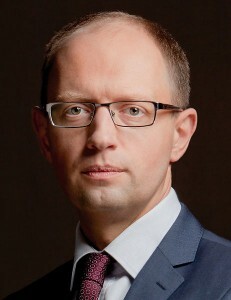 And, in a move perhaps now more symbolic than substantive, Prime Minister Yatsenyuk is stepping down. Yats is no longer the guy.